East Branch & Lincoln Railroad, Trestle 17 – Built in the early 1900s, probably 1906-1908 (one source states 1908) trestle 17 was located along the Upper East Branch of the East Branch & Lincoln Railroad in New Hampshire. It spanned the East Branch of the Pemigewasset River near the site of logging Camp 17. Camp 17 was on the south side of the trestle. 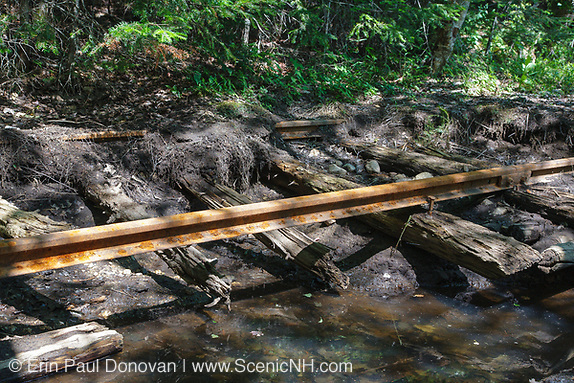 This trestle is within today’s 45,000-acre Pemigewasset Wilderness. A log landing and a short siding for the landing were located on the north side of the river in the area where a hiking trail formerly accessed the 180 foot suspension bridge. 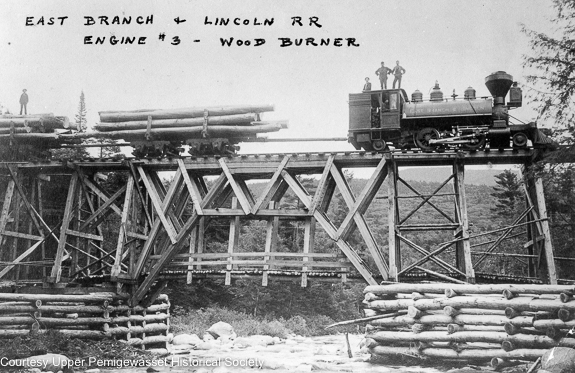 The above undated photograph shows loaded log cars on the trestle with the log landing in the foreground. And the cutover slopes of a spur of Mount Hancock can be seen in the background. East Branch & Lincoln Railroad, Trestle 7 – During the days of the East Branch & Lincoln (EB&L) Railroad, there were two trestles built at this crossing of Franconia Brook (above). And each trestle serviced different areas of the railroad in today’s Pemigewasset Wilderness. The first trestle 7, known as the original trestle 7, seen above, was unique because horses used the lower deck to cross the brook. The first trestle was built in the early 1900s, probably 1902, and it serviced the Franconia Brook and Lincoln Brook Branches of the railroad. It was used until 1911. The second trestle was built, probably in 1905, just below the first one and it was abandoned in 1947. 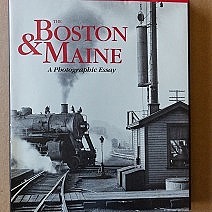 And it serviced the Upper East Branch of the railroad (the area surrounding the East and North Fork branches of the Pemigewasset River). 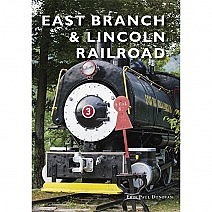 East Branch & Lincoln Railroad – The East Branch & Lincoln Railroad, built by timber baron James E. Henry, was a logging railroad that operated from 1893-1948 in the New Hampshire towns of Lincoln and Franconia. Much of the railroad was in the area we know today as the Pemigewasset Wilderness. If you venture into the Pemi, from the Lincoln Woods Trail, you will be walking the railroad bed of of Henry’s railroad. During its existence, the East Branch & Lincoln Railroad was sold to the Parker Young Company and then to the Marcalus Manufacturing Company. 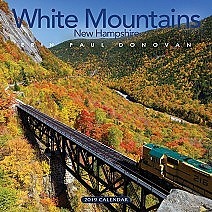 The railroad was considered the "elite logging railroad" during the 19th & 20th century White Mountains logging era. And towards the end of its lifespan truck logging played a role in the logging operations. East Branch & Lincoln Railroad, Trestle No. 16 – Trestle 16 is located along the abandoned East Branch & Lincoln Railroad in the Pemigewasset Wilderness of New Hampshire. It is also referred to as Black Brook Trestle and the J.E. Henry Trestle. Trestle 16 is one of the few remaining trestle artifacts that remind us of what took place in the area we know today as the Pemigewasset Wilderness. 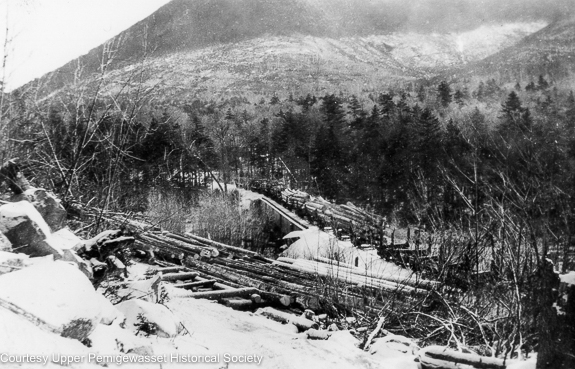 From 1893 to 1948 the Pemigewasset Wilderness was the scene of massive logging operations by timber baron J.E. Henry and in later years the Parker Young Company. Both operated log trains over this trestle. East Branch & Lincoln, Trestle 7 – As I start photographing abandoned railroads again, one of my objectives is to show how 20th century railroads have been used in the current trail system. 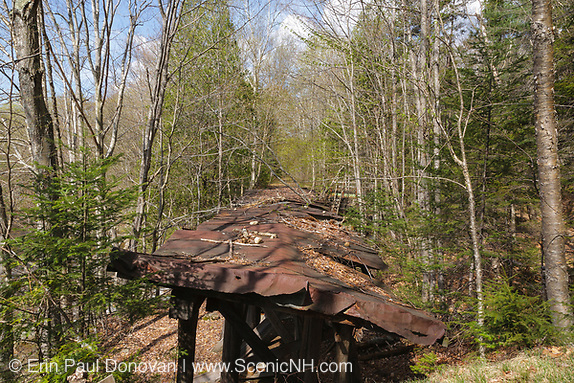 Many of the railroads have disappeared into the forest never to be seen again, but others have become intricate parts of the White Mountain trail system. 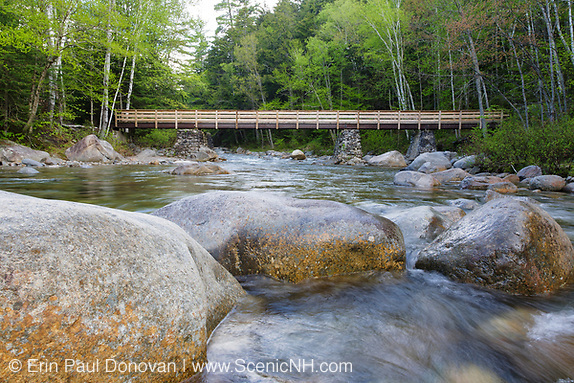 This is evident at the Franconia Brook crossing along the Lincoln Woods Trail in Lincoln, New Hampshire. East Branch & Lincoln Railroad – Always look in the water, because you never know what you will find! 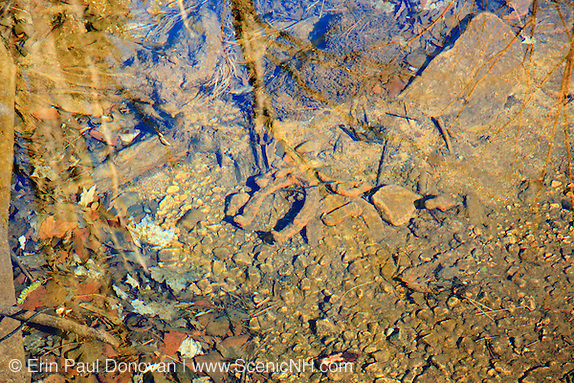 The above photo is of an old horseshoe (artifact) in a wetlands area of the Pemigewasset Wilderness near Camp 9. Camp 9 was a rail-side logging camp located along the East Branch & Lincoln Railroad (EB&L) in Lincoln, New Hampshire USA.